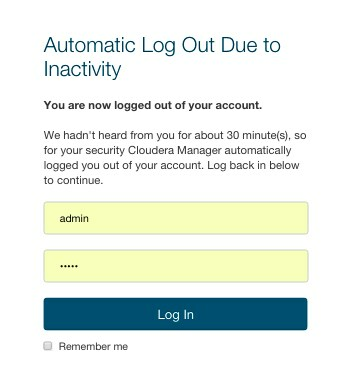 For security purposes, Cloudera Manager automatically logs out a user session after 30 minutes. You can change this session logout period. Edit the Session Timeout property.